This was another bike I built with the intention of my son riding. 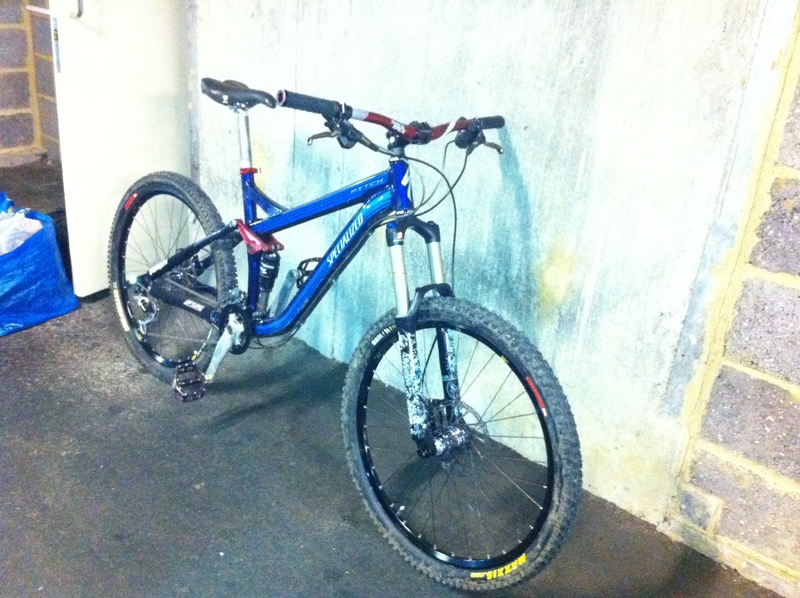 I used a Specialized Pitch comp frame (ebay) and Rockshox Sector RL fork. This thing was plush. I was particularly proud of the graffiti design I did on the fork to jazz it up a bit. I also ran with a fox 36 fork. My son did ok on it, especially when going downhill, although found it hard work on the climbs. 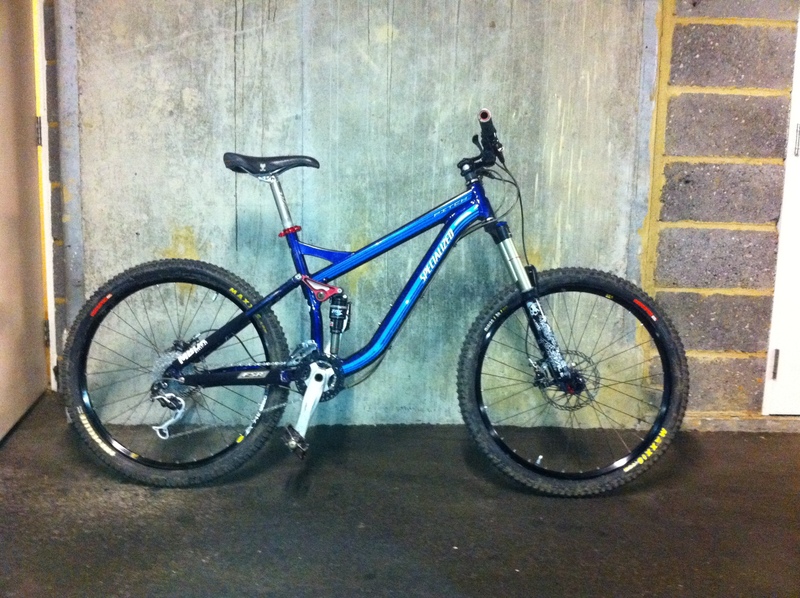 I have a great memory of this bike, pinning it & thrashing a mate down Aston hill on the red run. It was by far, the most composed bike I had ever ridden on that track.